The world is full of people who are very very different from each other mentally and sometimes physically as well. Today we are going to talk about five Indian Teens who you won’t believe exist. So Let’s Take A Look At 5 Unbelievable Indian Teens That You Won’t Believe Actually Exist! The world is full of people who are very very different from each other mentally and sometimes physically as well. Today we are going to talk about five Indian Teens who you won’t believe exist. So Let’s Take A Look At 5 Unbelievable Indian Teens That You Won’t Believe Actually Exist! 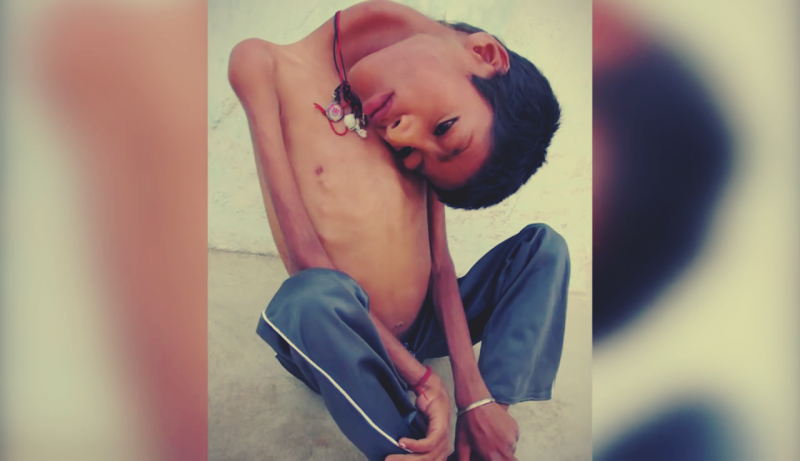 Mahendra Ahirwar, a 13-year-old boy who suffers from a rare congenital myopathy, this has made his neck muscles so weak that resulted in his head hanging at an almost 180 degree angle. In February 2016, following an International fund raising campaign, Mahendra received a pioneering surgery to correct and straighten his neck. 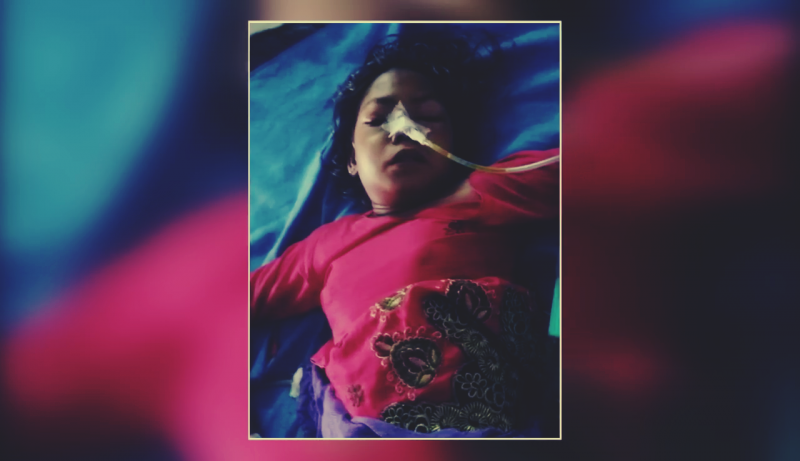 Although the operation appeared to be a success, but the 13-years-old school boy Mahendra who lived most of his life suffering in the deformity, with his head hanging to one side, died just a few months while watching television. This seventeen-year-old boy is called “The Rubber Man” and is an Indian contortionist. He can rotate his head 180 degrees, dislocate both shoulders and rotates torso degrees backwards. He is making India proud by winning four world and four national records. Jaspreet has also been rightly recorded in the Limca Book of Records as the most flexible Indian. When you look at her, at first glance you might think of her as a toddler. Yes, appearances can be deceptive, but let me tell you that Girija Srinivas is in fact 21-years-old. She is an adult trapped in the body of a toddler. She suffers from a medical condition called Congenital Agenesis, this rare medical condition affects the bones. This has resulted in her body failing to develop and grow properly like it should as a body of an adult. 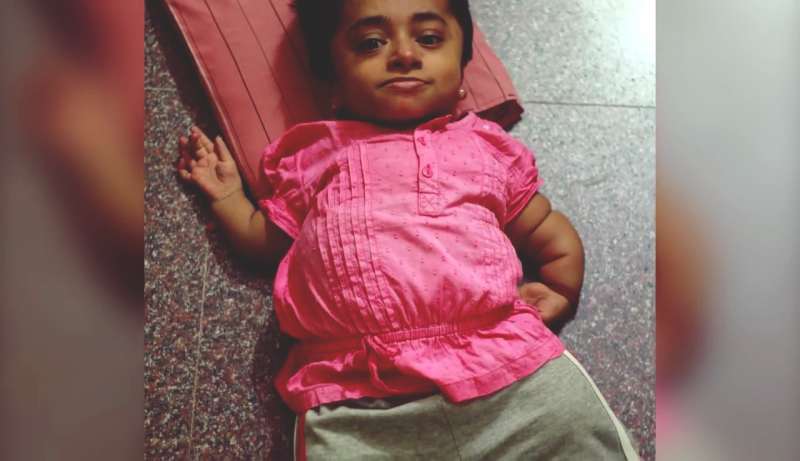 Due to this rare condition, Girija weighs only 12 kilograms and is only 2.5 feet tall, just like an average two-year-old toddler. Her head is heavy compared to her body as a result Miss Srinivas cannot sit up, apart from a cup of coffee, she cannot lift anything. But look at the will and determination of Srinivas, she has defied the odds and she dreams of becoming an artist. Becoming independent enough to support and look after her parents financially. Conjoined twins Shivanath and Shivram Sahu shocked their entire village when they were born. Many villagers considered them to be divine incarnations and soon people from nearby villages started coming to see and worship the boys. After looking at their condition, one doctor did say that it’s medically possible to separate the 12-year olds conjoined twins. However the boys who are born joined at the waist said they would stay together. Aren’t they unbelievable Indian teens? When she was 15, she was rushed to the hospital due to dehydration when she collapsed at home. Kavita Kumari had five feet long hair which she had been eating for many years. This hardened into a hairball which got stuck in her stomach. It turned out that she had a rare disorder called Rapunzel syndrome which normally leads to a hairball being found in the digestive tract of someone who ingest hair. Kavita is recovering and has received psychological help with her disorder.